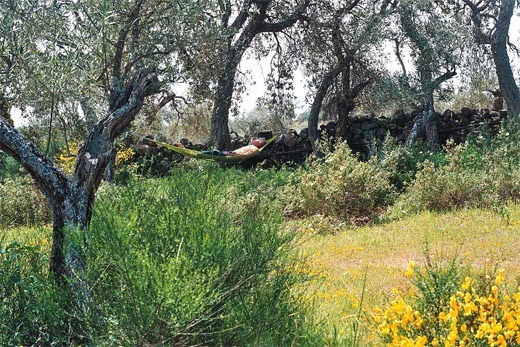 Since 2005 Noëlle Griffiths has spent time in the Sierra de Montánchez and made many paintings and artist's books inspired by the landscape, birds and quality of light. Noëlle studied Fine Art at St Martin's School of Art, London 1978-82. She lives in Snowdonia, North Wales and has taught art part-time since 1987. Currently she teaches on the part-time BA (Hons) Fine Art course at Bangor University as well as from her studio in Wales and Spain. Noëlle paints in oil, acrylic and watercolour as well as making artist's books. View paintings 1991-2015. View paintings 2015-present. View artist's books. Follow noellegriffithsart on instagram. 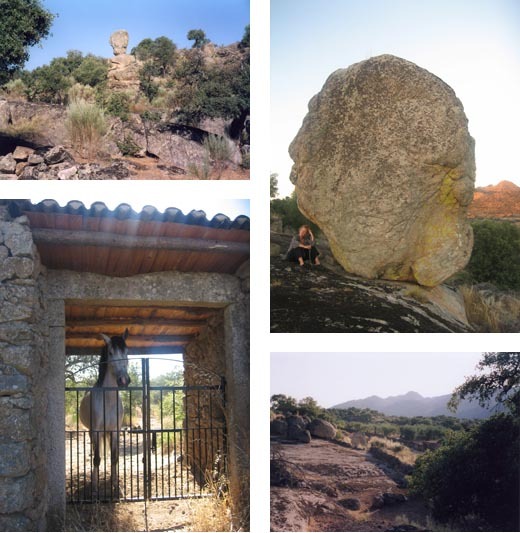 Extremadura is rich in wonderful wildlife. Birds flock here in huge numbers, in winter thousands of European Cranes arrive. At other times of the year azure-winged magpies, bee eaters, goldon orioles, vultures, eagles, hoopoes can all be seen. It is perfect for bird watchers, artists, walkers or those who wish to visit the historic towns of TRUJILLO, MÉRIDA and CÁCERES. Wild flowers are at their best between March and June. Extremadura is the size of Switzerland but sparsely populated and 74% of its land is designated as IBA (Important Bird Areas) - the highest of any region in Europe. Good times to visit are : end of FEBRUARY and MARCH when the winter populations are reducing and the first wave of summer migrants arrive; APRIL, MAY and JUNE with full breeding activity; end of OCTOBER and NOVEMBER is a transitional time when the summer visitors depart. Late October though to March the region provides a safe winter home for thousands of Eurasian cranes. TRUJILLO, birthplace of conquistadors Francisco de Pizarro and Francisco de Orellana, with the beautiful Plaza Mayor, cobbled streets, noble mansions, churches and hilltop castle. MÉRIDA, founded in 25 BC as the capital of the Roman province of Lusitania, it is considered to contain the finest Roman remains in Spain. It has a Roman theatre, amphitheatre and temples as well as the National Museum of Roman Art. 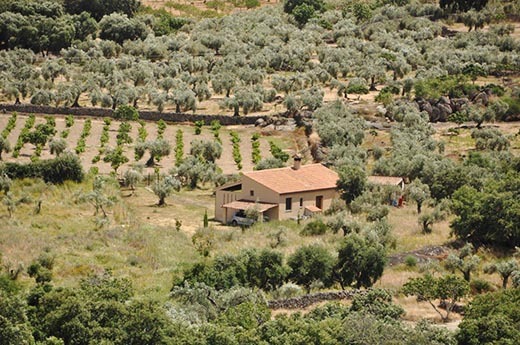 CÁCERES, the old town is a World Heritage Site with well preserved stone mansions and palaces within ancient Moorish walls, as well as mueums and a fine contemporary art gallery. 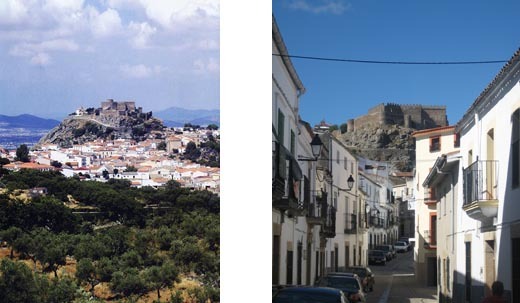 WALKING : Gisela Radant-Wood co-hosts the Townscape Urban Sketchng course in Andalucia and gives guided tours on the Townscape Urban Sketching courses in Extremadura. (sleeps 5) in Snowdonia National Park, North Wales, UK. Noelle Griffiths, artist studied Fine Art at St Martin's School of Art, London during 1978-82.